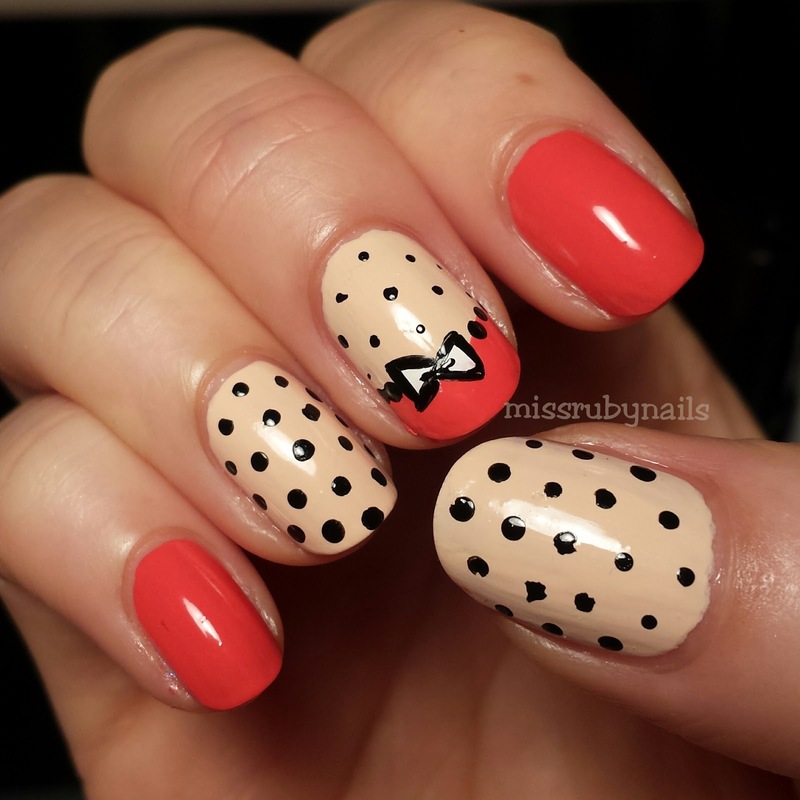 A super easy and girlie manicure with polka dots and a bow! 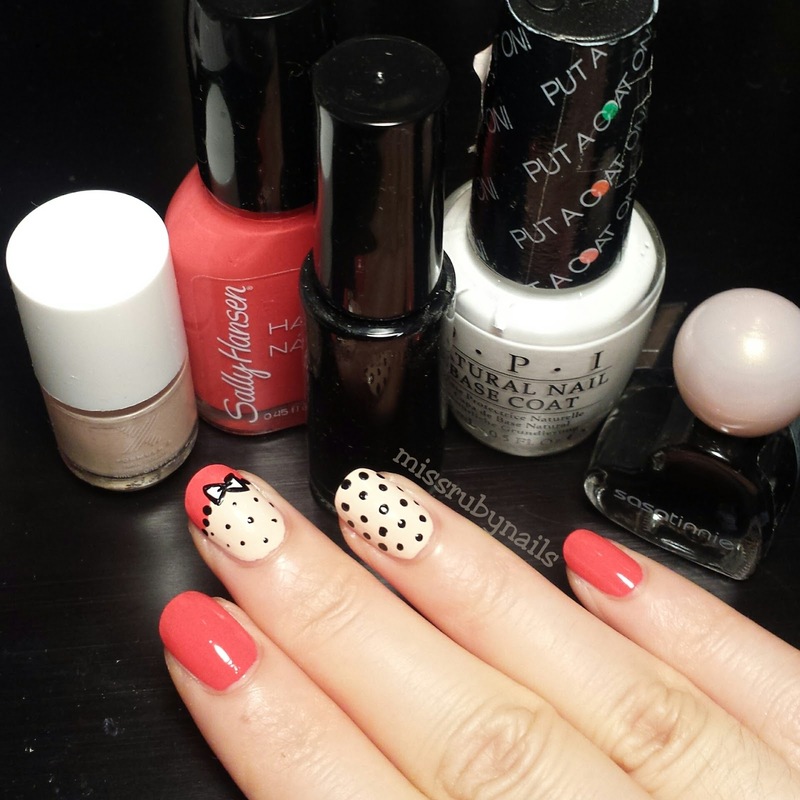 On the beige colored nails, I added some small polka dots using my small dotting tool. On the middle finger, I used the orange polish that I used on the other 2 nails to paint a curved tip. This orange polish was by Sally Hansen from their Hard as Nails line. It is very creamy and opaque. And it applies very nicely without streaks! I then painted 2 triangles using a white polish and outlined the bow with a black nail striper. I also added some more polka dots along the curve of the tip. After top coating then we are done! 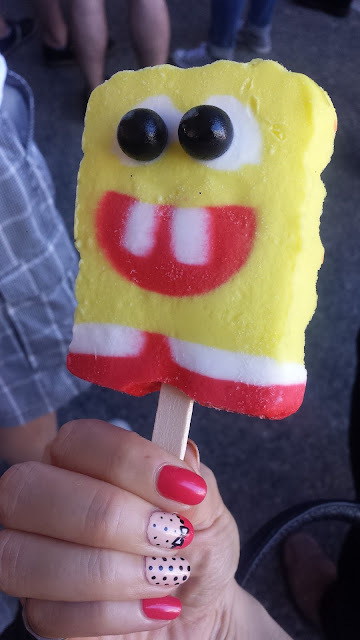 I just couldn't resist taking a photo of this Sponge Bob popsicle. It was the cutest thing I put into my mouth in my life! Haha.